It was little more than a week ago when Wall Street and the equity markets roared from the rafters following the Fed's dovish announcement that Quantitative Tightening for all intents and purposes was coming to an end. However what these scramblers for nickels and dimes failed to realize is that Chairman Jay Powell was signalling between the lines that all was not well. Let’s be very clear what yesterday’s full frontal capitulation by the Fed means: It’s coming. The next recession that is. It’s just a matter of the how and the when. Now mind you the Fed will never, ever overtly tell you a recession is coming. They can’t. Their underlying primary mission is to keep confidence up. 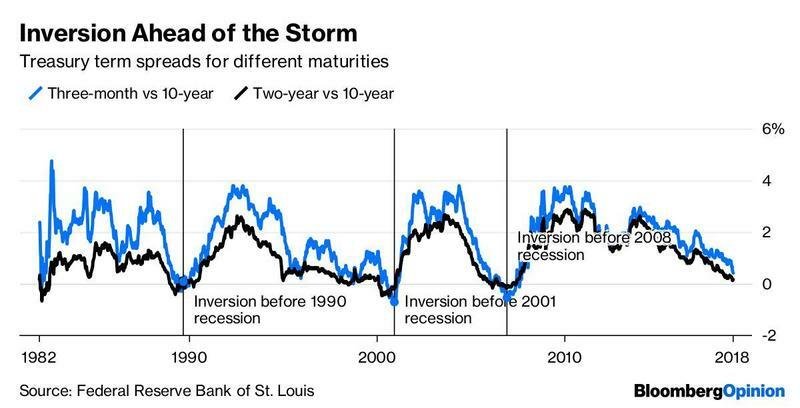 A Fed predicting a recession would cause all kinds of havoc in capital markets and almost certainly bring about a recession. So they won’t tell you, but their actions speak loud and clear. 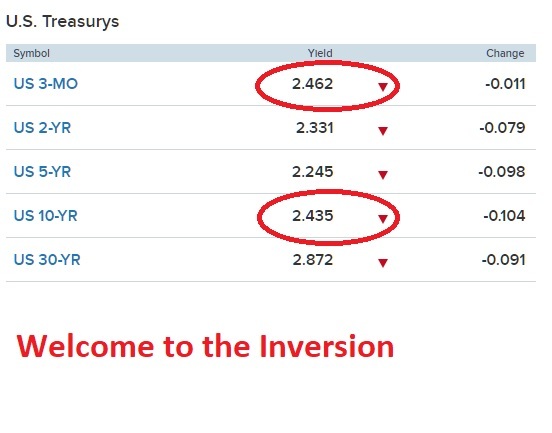 Fast forward a week and that prognostication has come to bear as on March 22 the 10 year and 3 month Treasury Bonds inverted for the first time since the start of the Financial Crisis, and there is no doubt that both the U.S. and the rest of the world are fully into recession. In fact here is a validation that when the 10 year and 3 month yields invert, a recession has occurred every time over the past 50 years. Besides the bursting of Housing Bubble 2.0, equity markets failing to breakthrough all-time highs reached just a few months ago, the Atlanta Fed announcing GDP could be absolutely flat for Q1, and Germany already a couple quarters into recession, the cake is in the oven so to speak, and everyone needs to prepare for the next Great Recession.